Jamie in Evening Standard. Jamie in Evening Standard. HD Wallpaper and background images in the Jamie Campbell Bower club tagged: jamie campbell bower evening standard article. 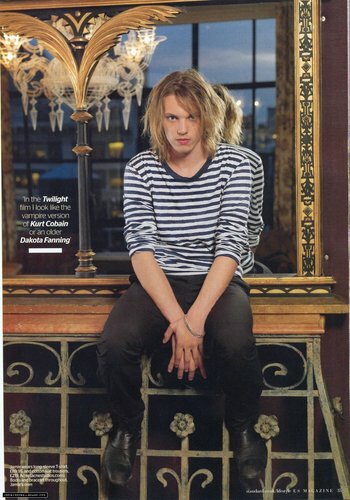 This Jamie Campbell Bower photo contains 王位. There might also be 司教座, 司教の王座, 大司教座の玉座, 権威, 司教の王位, 応接室, and 引き出し部屋.